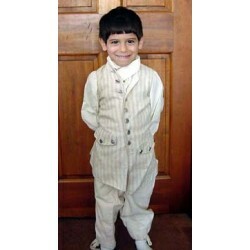 Our Little Gents F&I War Waistcoats have the front made of wool or 9 oz. Cotton Duct and the backs are out of 100% Cotton. 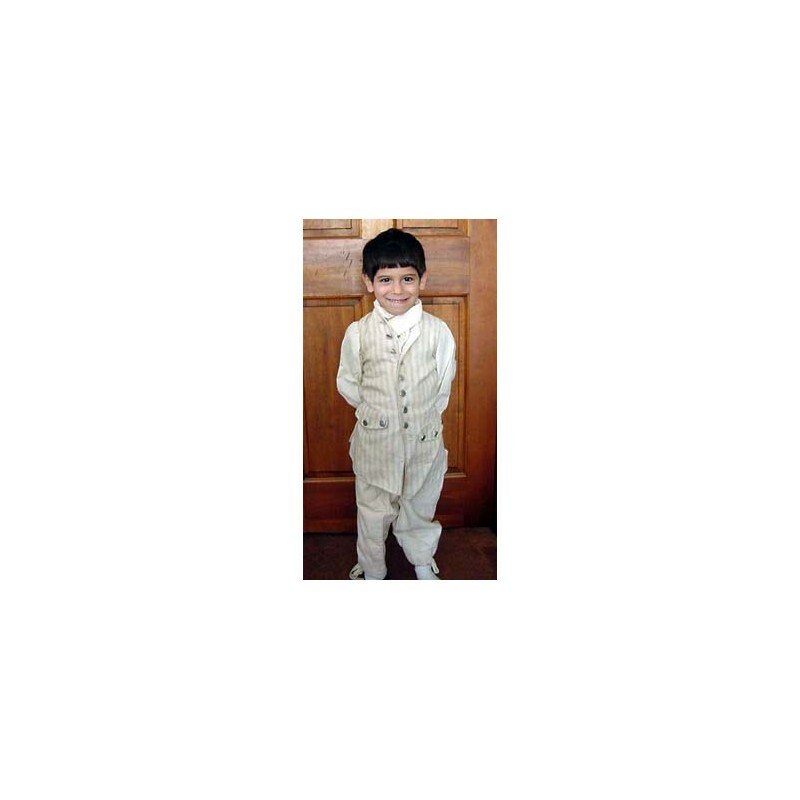 Our Little Gents F&I War Waistcoats have the front made of wool or 9 oz. Cotton Duct and the backs are out of 100% Cotton. The lining is also 100% Cotton. They come with functional pockets and bone button closure. **You may order this garment with Pewter Buttons for an extra fee of $15.00. **When placing your order, please give 2 color choices and choice of fabric.